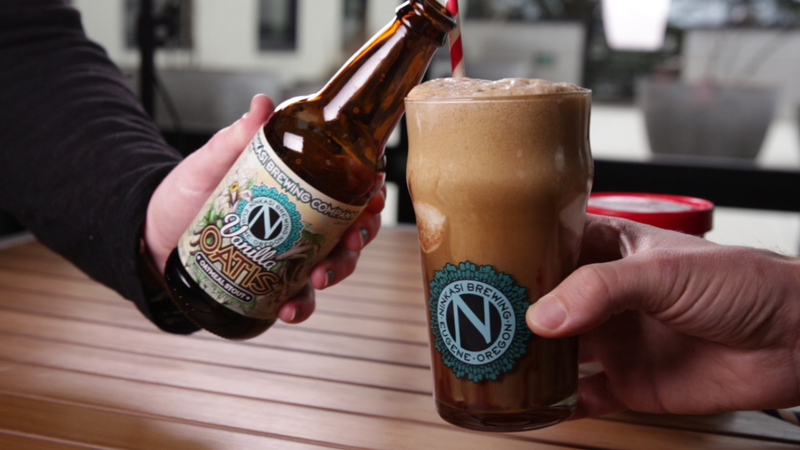 You should really stop whatever you are doing and make yourself a beer float. There’s really nothing better and you’ve probably earned it. 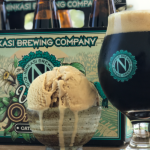 We love making them with our Vanilla Oatis Oatmeal Stout, a beer that is already roasty, chocolatey and nearly a dessert on its own. Adding ice cream to it just takes it up a notch and makes it an unbeatable treat that is pretty simple to put together. Stream chocolate and caramel sauce into the glass to give you lots of pretty criss-crossing drizzles down the sides. Fill glass about halfway with stout. 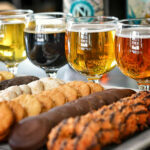 Don’t put too much beer in otherwise it will overflow and make a huge huge mess (trust us). Add one large scoop of ice cream. Place it gently on top of the beer so as not to disturb it too much. Add more chocolate and caramel sauce on top. Grab a straw and a spoon.